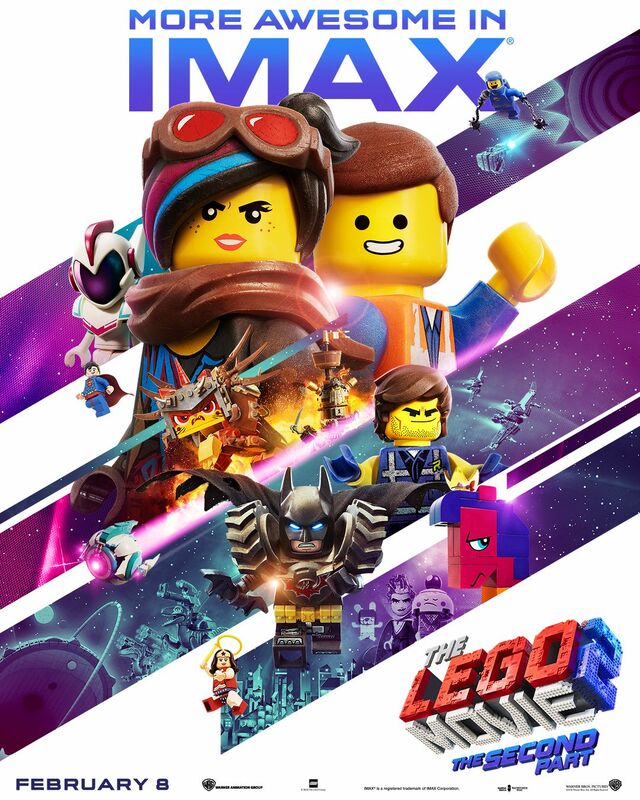 About a week ago, Collider partnered up with IMAX and Warner Bros. for a special IMAX screening of The LEGO Movie 2: The Second Part before it was in theaters. While getting to show the film early was really cool, for me the highlight came after the screening, when I got to moderate an extended Q&A with Phil Lord, Chris Miller, and director Mike Mitchell. During the 80-minute Q&A, they shared a ton of great behind-the-scenes stories about the making of the sequel including how “Catchy Song” came about and how it was prevented from leaking before the release, building on what they learned from the first film, which sequences proved to be a technical challenge, the relationship between LEGO and the film, the studio’s involvement in the second film vs. the first film, the voice cast, if the title was always going to be The Second Part, and so much more. In addition, they played “Get To Know Your Sundance Attendee” which includes a number of questions like what TV show they’d like to guest-star on, what’s their favorite fantasy or sci-fi movie, what film scared them as a kid, their first movie or TV show crush, if they prefer Game of Thrones or Breaking Bad, what got them interested in the entertainment industry, and a lot of other fun stuff. Check out what Phil Lord, Chris Miller and Mike Mitchell had to say in the player above and below is exactly what we talked about followed by some recent links. Finally, a huge thank you to IMAX and Warner Bros. for making this screening happen! The LEGO Movie 2: The Second Part is now in theaters and features the voices of Chris Pratt, Elizabeth Banks, Will Arnett, Nick Offerman, Alison Brie, Tiffany Haddish, and Stephanie Beatriz.